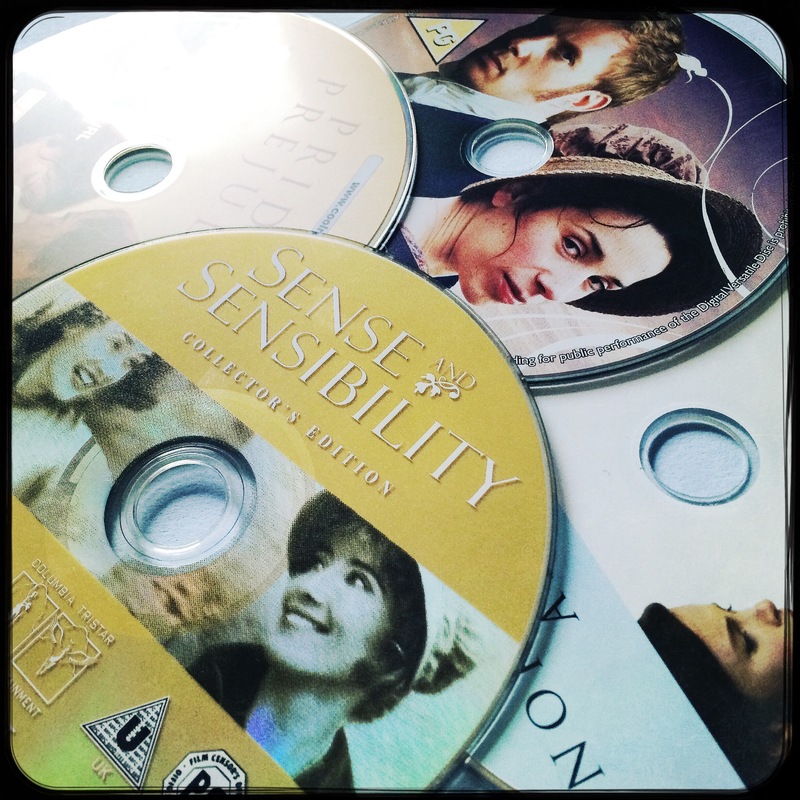 I realise that the photo has a bit of a Jane Austen theme going on but I do have an extensive movie collection. I love going to the cinema to see new releases and I love getting DVDs for those quiet days/nights in. I like that I can get lost in someone else’s story for a little while, similar to reading but admittedly I couldn’t spend all day watching movies, I don’t know why. Obviously I love a good costume drama, I know that it probably wasn’t all that romantic in the actual time period but I think it’s because most of the romances are so understated that they really appeal to me. Plus I like how there always seems to be a good mix of witty and silly characters to keep you entertained. I also really like what I can only think to describe as world cinema. Some of my favourites are French and Spanish films, although I do have to be in the mood for them, because of the extra concentration for subtitles. Pan’s Labyrinth, a grown up fairytale; Micmacs, a revenge comedy with crazy characters; and Little White Lies, a film looking at group dynamics during a tragedy, which does have some brilliant comedic moments, are some of my top picks. I could talk for hours about movie adaptations of books, but I won’t. What I will say is that generally I think they’re brilliant, but never quite live up to the book. The one that really stands out for me is Harry Potter, with Hunger Games coming a close second but there are just so many that I would find it hard to list them. Comic book movies are another guilty pleasure, especially if it’s within the Marvel universe. I’m really hooked on all the films and the related television shows. I’ve yet to try and do a marathon, I don’t think I’d manage it but would be interested to work out how long it would take. Even though I am a grown up (kind of) I still love Disney movies. I think it’s the songs and the fact that when you watch them, being that little bit older, there are jokes that you’ll understand as an adult that you wouldn’t as a kid. It’s also the memories that the films evoke, I remember going on a girls holiday to effectively chase a man (we were young, it was fairly successful) and having a day on the beach singing Disney songs and laughing so loudly that other people couldn’t help but join us. I’m not sure I can mention all of the movies I like or genres because I could be rambling all night, what I will say is that there are a few other little gems that I always go back to because they lift my spirits or make me laugh. In no particular order… Chocolat, Salmon fishing in the Yemen, Stardust, It’s Complicated, The Devil Wears Prada, Easy A…again there’s more but I won’t keep you.